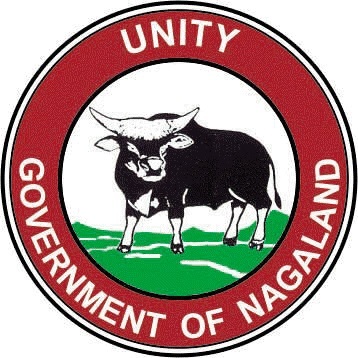 Bordering Mokokchung district, this place is believed to be the originating place of the Sangtam tribe and the six clans of the Ao tribes. Recent archaeological excavations have found remnants of ancient earthen pots and huts. 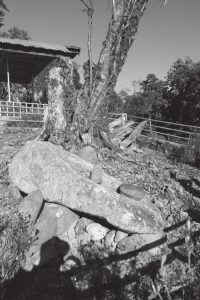 pic: Longterok/Ongterok stones near the village of Chungliyimti, origin of the six clans of the Ao and, in the background to the right of the tree, memorial stones for the first village leaders of the Sangtam. In the foreground, the stone of the Longkumer clan of the Ao. (Photograph by Alban von Stockhausen, 2008).